Inside your venue there are a number of things that can be done to enhance the venue, this can include uplighting key features of your venue or to change the mood of the venue. This can change a cold hotel dining room into a warm, welcoming wedding reception! 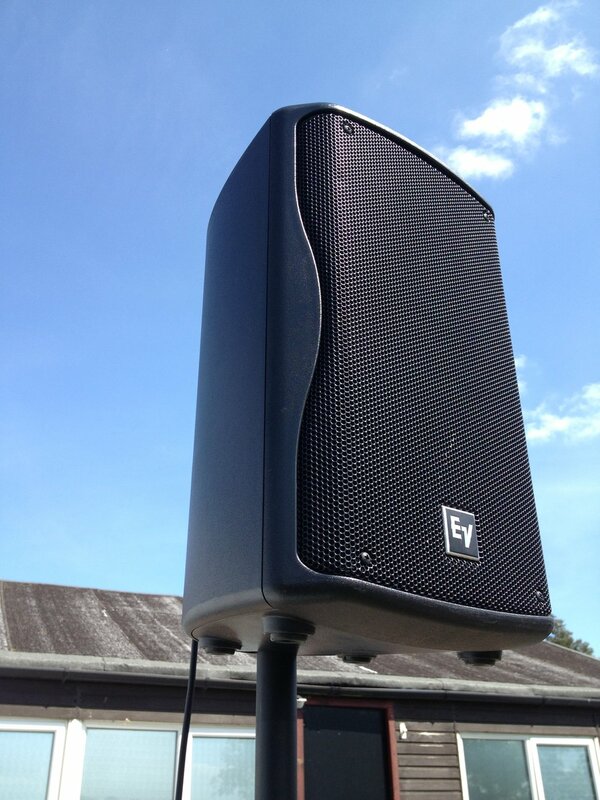 We are able to provide a discrete PA system for your wedding ceremony with an engineer to ensure that everyone is able to hear your readings as well as music throughout the ceremony and signing of the register. We are also able to provide a discrete PA System for the reception for speeches and background music for the meal. We are able to provide a large variety of backdrops for all aspects of your wedding celebrations, from an ivory arch for the ceremony to a starlit backdrop for a band for your evening entertainment. For weddings we can also offer table pinspoting to accent & pick up the table centres or if you just don’t like the house lights in the venue and would just like pinspots and uplighting to create the right mood in your venue – This can be done in two different methods, the preferred method is to rig the fixtures from supports within the venue ceiling, however if there are no supports in the venue we are able to provide lighting stands in the corners of the room with the fixtures on which provides the same effect. For evening entertainment we once again have a multitude of options for you! We can provide a truss box above a dancefloor to give the nightclub feeling, this will then have all manor of lighting fixtures mounted on it including intelligent fixtures and the always popular mirrorball! However many of our clients prefer to go for a classier more subtle approach with which we are able to use the uplighting from the daytime the change the colour to, maybe a dark blue to give more of a band feel. We are able to uplight the outside of your building as well with our IP rated lights perfect for your outdoor events even if the worse happens and it does rain! One option that we often use is to use ground spike lights to highlight specific features in the garden or around the venue. These can then also be used to cross over pathways to create a creative wash over the path illuminating your guest’s ways. Another option could be to use our LED fairy lights within the trees or bushes in the venue to create a ‘glowing’ sensation from the bush.